created by Alexander Calder - whom I only knew from the artwork on a DC-8 of Braniff Airways. Why it is supposed to be forbidden to photograph I really can't say. Liu Fang Yuan, the Garden of Flowing Fragrance. It reflects the traditional style of scholar gardens in Suzhou, China. bridges and waterfalls set against a wooded backdrop of mature oaks and pines. and a ceremonial teahouse and tea garden. 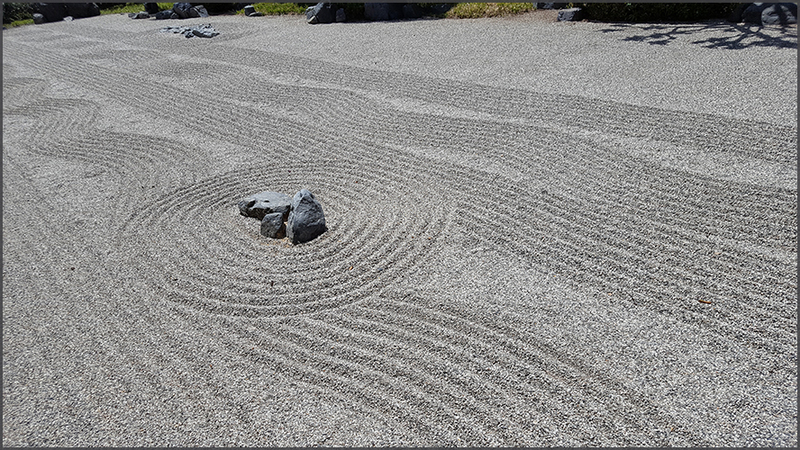 The Japanese rock garden ('karesansui') or 'dry landscape' garden, often called a zen garden, creates a miniature stylized landscape through carefully composed arrangements of rocks, water features, moss, pruned trees and bushes, and uses gravel or sand that is raked to represent ripples in water. one of the most comprehensive collections in the world! A hummingbird and a 'Sceloporus occidentalis' (NL:Westelijke haagleguaan); it pays to keep the eyes peeled. The Desert Garden, with a perplexing amount of plants! 5.000 species of desert plants in sixty landscaped beds. I liked this part of the entire Botanical Garden probably best, because it managed to surprise me so much. Henry Huntington's superintendent, William Hertrich, was instrumental in developing the various plant collections that comprise the foundation of the Botanical Gardens. Together, they molded the working ranch into a botanical collection of rare and exotic plants. They searched local nurseries and visited other plant collectors in the area to find mature and unique specimens. Mr. Huntington imported plants from many parts of the world to experiment with their cultivation in Southern California. Today, 40 gardeners, a curatorial staff of seven, and more than 100 volunteers maintain the botanical collections, provide educational programs for visitors, and propagate plants that are often included in special sales. 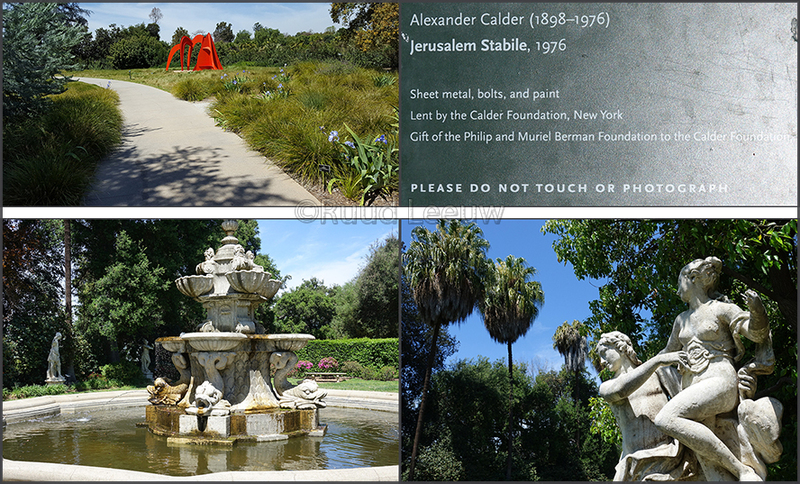 My visit to the Huntington Gardens was a definite highlight of our trip to California. Wait, we're not done yet! Chorisia insignis of South America, a tree with serious defenses! 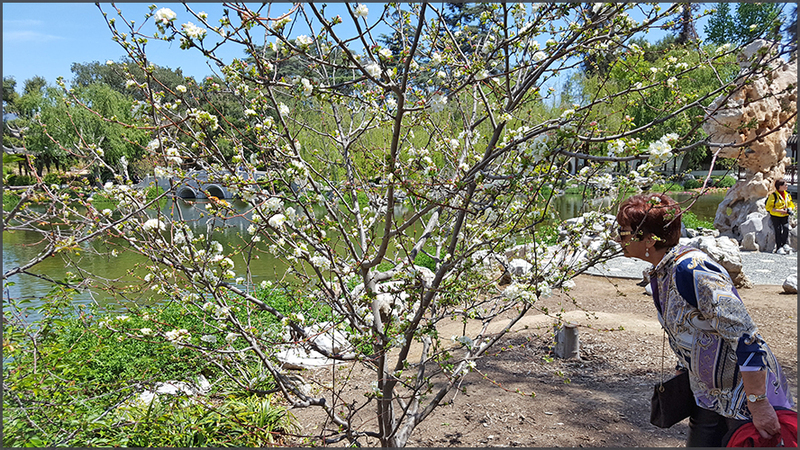 The Huntington Library is one of the largest and most complete research libraries in the United States in its fields of specialization. Only a tiny portion of the vast collection is on display at any one time, divided between the Main Exhibition Hall and the smaller West Hall. Decleration of Independence, signed by John Hancock, President. to draw animals 'life size'.